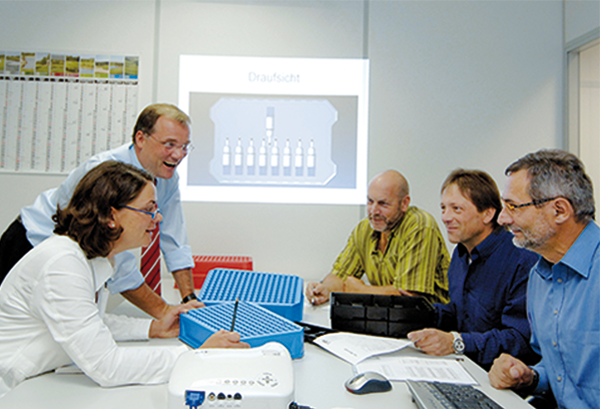 ­­UNIPA Kunststofftechnik GmbH specializes in the development and manufacture of thermoforming parts. Our main focus is on industrial packaging and workpiece carriers. In addition to expertise in thermoforming, the success of our company is based on a comprehensive understanding of the specific application requirements. Therefore, we support our customers from the inquiry to the serial production: CAD designs provide the necessary data for the creation of the tools in the in-house tooling department. On modern thermoforming machines we process plastic films and sheets. Thus we cover a wide range of packaging sizes. Production under controlled conditions (clean room class ISO 8) is also possible. Since its founding in 1970 UNIPA serves customers in Germany, Europe and other parts of the world from Neustadt an der Weinstraße, in the southwest of Germany.